Living a fast-paced lifestyle, working professions and students tend to eat out during lunch, or even resort to skipping meals because they might be too busy to take proper breaks. Kay Chow and Rengeeta Rendava, the founders of The Lunch Club (TLC), are always dealing with a packed schedule, hence they always go for the fastest solution. “We often find ourselves stuck with having to resort to either road-side food or fast food chains for a quick meal on the go,” said Rengeeta. Without a doubt, these sort of food taste really good but it contains the infamous flavor enhancer called MSG (Monosodium Glutamate) and fat laden. Founded in August last year, the problem TLC seeks to address is the unhealthy habits of skipping lunch or skipping lunch break or sacrificing quality as well as value for a quick meal when in a rush. 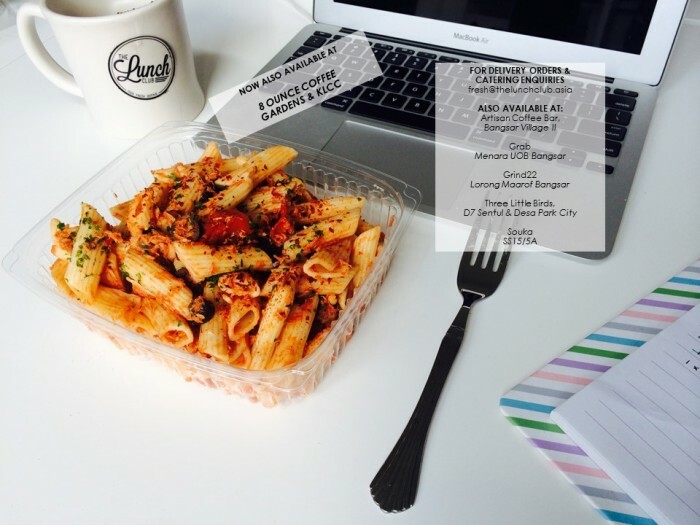 “With TLC, we are developing a no-excuse solution to feeding yourself well. We also understand that many of us may not be inclined to particularly healthy eating, and can be overwhelmed by counting components of the meal etc. For this reason, we encourage balanced meals rather than counting macros. Conscious eating is the first step,” said Kay. However, for those who are not so keen on superfood because some of these healthy options might not be everyone’s cup of tea, they can customise meals with necessary substitutions to suit every customer’s special dietary needs. Instead of preparing a full selection of meals which repeats week after week for customers to choose from, TLC prepares only one option for their customers, which differs every single week. Despite the lack of variety within the same week, it does simplify the process of selecting what you want to eat and you are rest assured that the following week you get to try something new. In fact, they give you a teaser of what’s next to come for the following weeks on their website so that you can plan your meals in advance for the whole month! This shows dedication and thoroughness in TLC’s meal-planning to make sure that there is something unique that’s being specially designed for their customers. Since TLC is now handling an average of 250 orders to 400 per week, by controlling the type of meal they offer every week, they are able to offer consistently high quality ingredients at affordable prices. 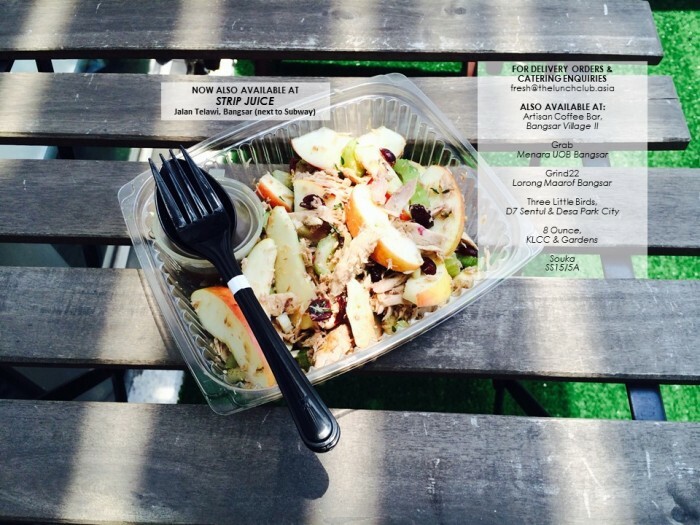 The Lunch Club offers pick-up services as well and these partners are located within Klang Valley. 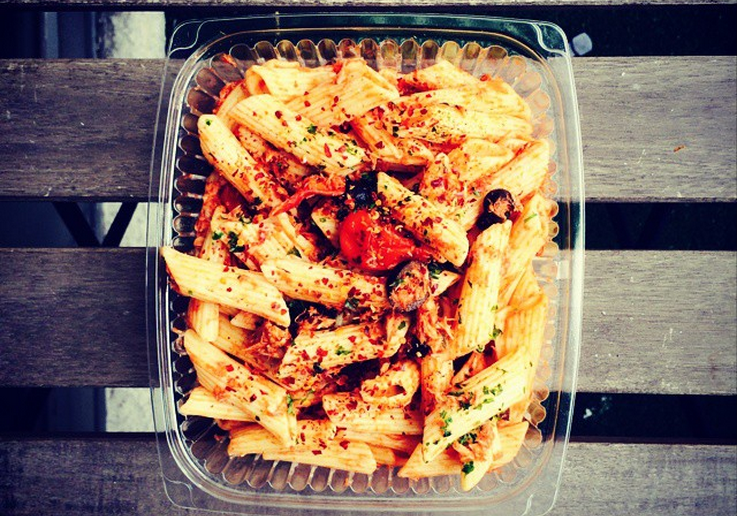 Or, you can choose to have the meals delivered attractively and conveniently to your doorstep as it is specifically for people who just don’t have the time to head out for lunch. Additionally, you don’t even need to spend time heating up your food because the meals are designed to be consumed chilled or at room temperature. Therefore, you can save all the hassles without heating up your food because the food are designed to be consumed chilled or at ambient temperature. 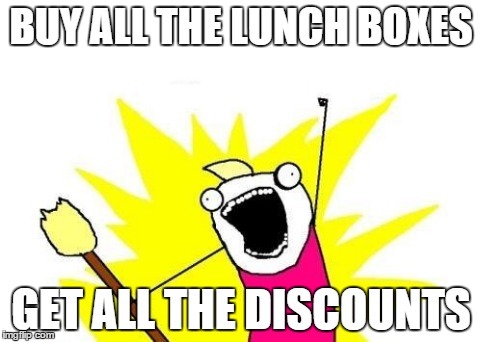 If I were to compare the price of the lunch box from The Lunch Club with other similar healthy delivery services, TLC’s price is slightly cheaper because their total price is inclusive of delivery fee (mostly areas within Klang Valley and Kuala Lumpur). To find out if your area is part of the free delivery zone, you have to type your address postcode in the online order form and check it the postcode appears in the drop down menu. 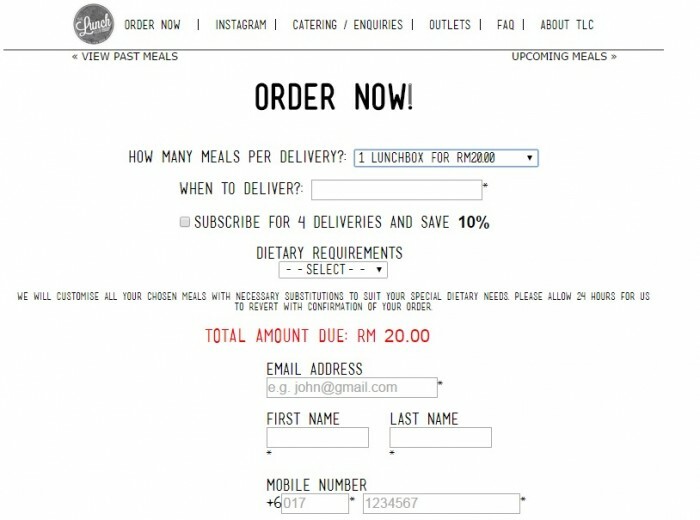 Meals from The Lean Canteen ranges from RM13 to RM19; while meals from The Naked Lunchbox ranges from RM10 to RM16; excluding delivery fee which is usually from RM5 to RM8. Though it should be noted that The Lean Canteen and The Naked Lunchbox offers more variety for customers to select from. 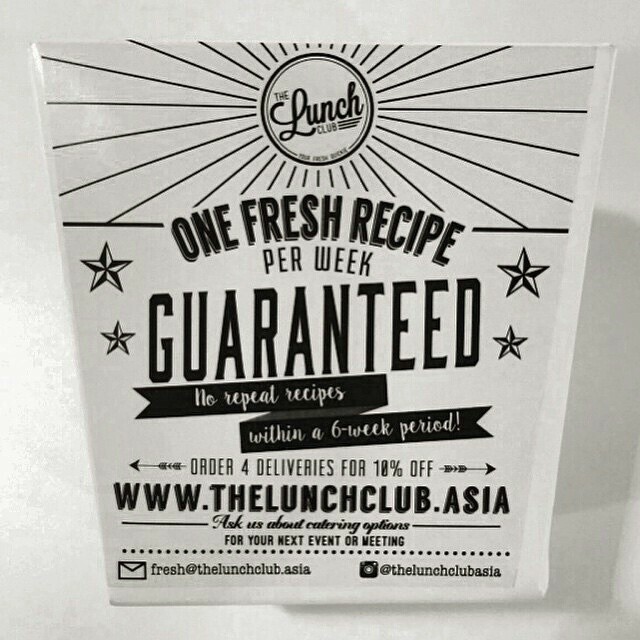 What gives The Lunch Club a competitive edge is its group discount, whereby if you make an order for several lunch meals at a go, the price of each lunch box decreases from RM20 to RM14. This would work for the office crowd who eat with their fellow colleagues during lunch hour because they have a project deadline to meet; or if there are a group of employees/employers who are visiting and prefer to dine in the office but you don’t have the time to run out to buy 10 sets of chicken rice/nasi lemak (not to mention, those aren’t exactly healthy meals) for them. 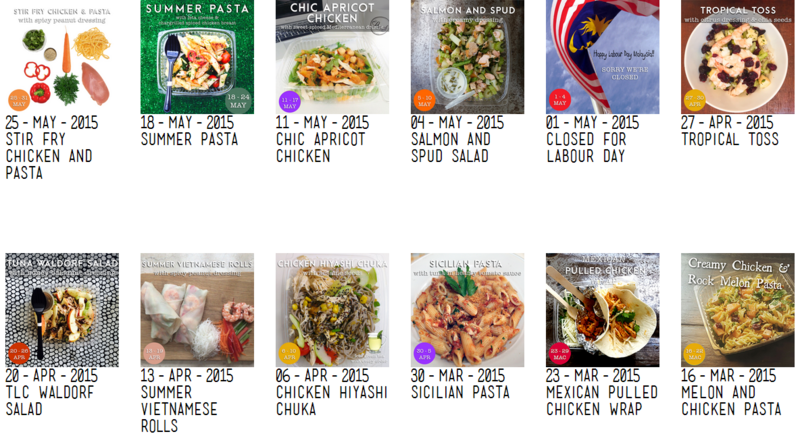 If you want to check out this week’s meal, go on and check out The Lunch Club’s website here.